Back in 2011 and again in 2012 the California Department of Transportation (Caltrans) shut down sections of Interstate 405 in Los Angeles. Many anticipated that the construction would cause heavy traffic, though nobody was quite sure how bad it would be. Local media even went as far as to start referring to the freeway closures as “Carmageddon,” parodying the notion of the end times. 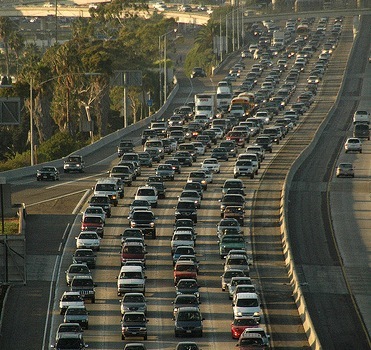 Now, it looks like San Diego is about to experience some freeway closures of its own. While these shutdowns probably won’t be quite as bad as “Carmageddon,” they could end up being an inconvenience for some local motorists. Caltrans will be closing all southbound lanes on I-15 for three miles starting July 27. The 3-mile stretch goes from State Route 56 to Rancho Penasquitos Boulevard / Poway Road. This stoppage, which is being undertaken in order to fix a drainage problem, will run from 7 p.m. on July 27 through 4 a.m. Monday, July 29. Interstate 805 will be closed starting August 18. Lanes in both directions will be shut down for seven miles, from State Route 54 in Chula Vista to State Route 905 in Otay Mesa. The construction is scheduled to begin at 3 p.m. on August 18 and will end at 5 a.m. on Monday, August 19. Caltrans says that this closure is necessary to allow workers to demolish the East Palomar Street Bridge, which will eventually be replaced with a new bridge, carpool access ramps, a transit station, and a park and ride location. Officials say the shutdowns could cause hours of gridlock for drivers on these routes, so be prepared. Congestion is expected to flow over onto I-5 as well, especially during the I-805 closure. “That’s why we’re asking motorists to during the closures to steer clear and stay home if possible,” explained Laurie Berman, Caltrans’ San Diego district director. 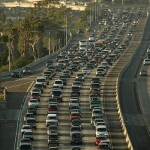 For more information on the freeway closures, including a map of the affected areas, visit www.keepsandiegomoving.com. A new bike-sharing program designed for San Diego is expected to bring at least 1,800 bicycles to the city. What’s more, the new program won’t cost taxpayers a thing. The City Council unanimously approved a 10-year partnership with DecoBike to install bike-sharing stations throughout the city. There will be an initial investment of $7.2 million to begin the program, all of which will be paid by DecoBike. Revenue will be raised through rentals and yearly memberships. So far, there are plans to install between 180 and 220 bike-sharing stations throughout San Diego. According to the City Council, DecoBike will ask the community for input before making a final decision on where to set up the stations. If all goes as planned, they should be ready to go sometime between January and March of next year.